By now, your summer wardrobe is probably on point (hello, espadrilles and eye-catching tees). And while you can always fall back on bronzer and bright lips, there’s no better time than the height of summer to give your beauty game a boost. Paired with smart sun care and plenty of water, these buzzy makeup and skincare trends will have you looking your best through the rest of the season, and straight into the fall. Vitamin shots are an increasingly popular way to detoxify your body, restore hydration and receive an energy boost. For a face-focused take on the micronutrient trend, consider a vitamin-powered peel that will brighten and balance your skin. Vitamin C is a particularly effective skin enhancer that will clear away dull skin while workingbelow the surface to stimulate collagen production and elasticity. It also contains potent antioxidant properties to fight free-radical damage caused by sun exposure, yet is still gentle enough to deliver a healthy-looking glow with little to no recovery time required. 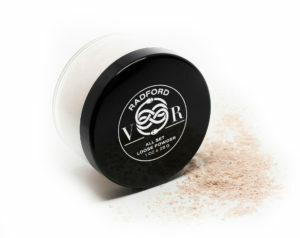 Vitamin C Peel treatment, and Victoria Radford All Set Loose Powder with vitamins C and E, both available at Victoria Radford. With fanny packs and flatforms making their own triumphant returns, it was only a matter of time before lip gloss made a comeback as well. The newest spins on the ’90s makeup trend feature mega-shine and holographic effects that look right for today when paired with well-defined brows, a swipe of mascara and softly sculpted cheeks. For a more daring way to wear your gloss, try dabbing a bit of product on your eyelids and along your cheekbones to create a touch of light-reflecting dimension that would look just as perfect at a pool party as it would at a rooftop dinner under the stars. 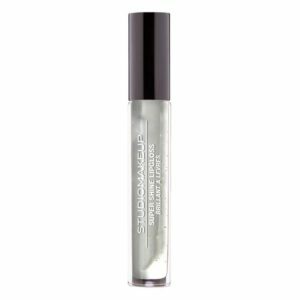 StudioMakeup Super Shine Lipgloss, available at Rexall. Summer is a great time to toast to your health — and we don’t mean in the rosé-all-day sort of way. Dietary supplements, especially ones that feature a special class of healing plants known as “adaptogens,” are finding their way into your fridge, with drinks and drops promising to work from the inside out to reveal a better-looking you. Next time you’re feeling parched, why not get your hydration while harnessing the healing powers a nutrient-packed juice? Elxr Juice Lab, for one, simplifies the beverage-selection process with its convenient list of product benefits. Simply look for the “Beautification” marker to find a drink made with ingredients that will not only promote healthy skin, nails and hair, but also prevent and repair cell damage, too. 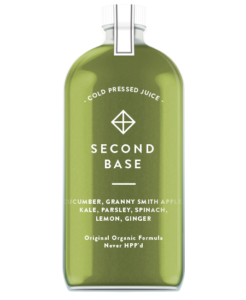 Second Base cold-pressed juice, available at Elxr. These days, it’s hard to scroll through Instagram without coming across a sheet-mask selfie (or 10). Cute photos aside, these single-use masks are ideal for giving your complexion some much-need moisture, since they’re designed to seal their ingredients and deliver them deep into the skin. Better still, you can also give yourself an added hydration boost by keeping the leftover liquid pooled at the bottom of the sachet and using it as a serum over the next few days. 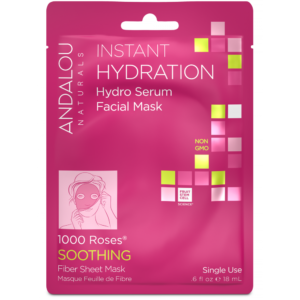 Andalou Instant Hydration Hydro Serum Facial Mask, available at Whole Foods.